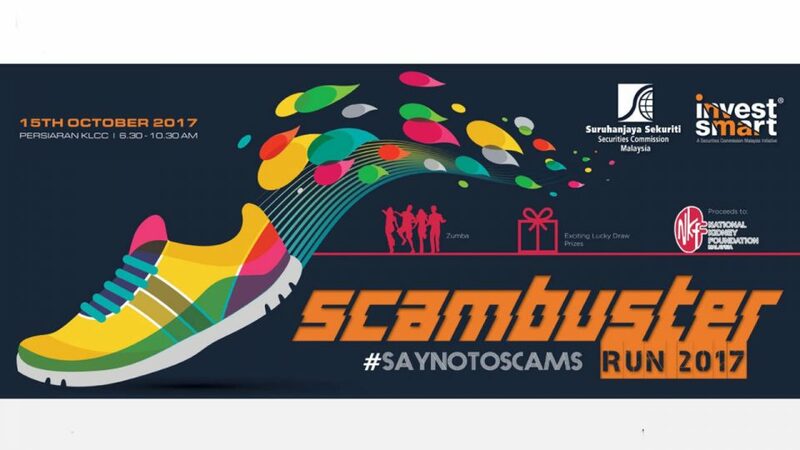 ScamBuster Run 2017, powered by InvestSmart, is a fun run that will be organised in conjunction with InvestSmart Fest (ISF) 2017. The run aims to create awareness among Malaysians about the rise in illegal investment schemes- and subsequently, develop resistance among investors towards scams, and ultimately lead them to invest in approved investment products in the Malaysian capital market. Additionally, 100% proceeds obtained from the registration fee will be channelled to National Kidney Foundation Malaysia (NKF).